Chris Debacker has been doing really well over the years, and he now has 23 provincial first prizes to his name. 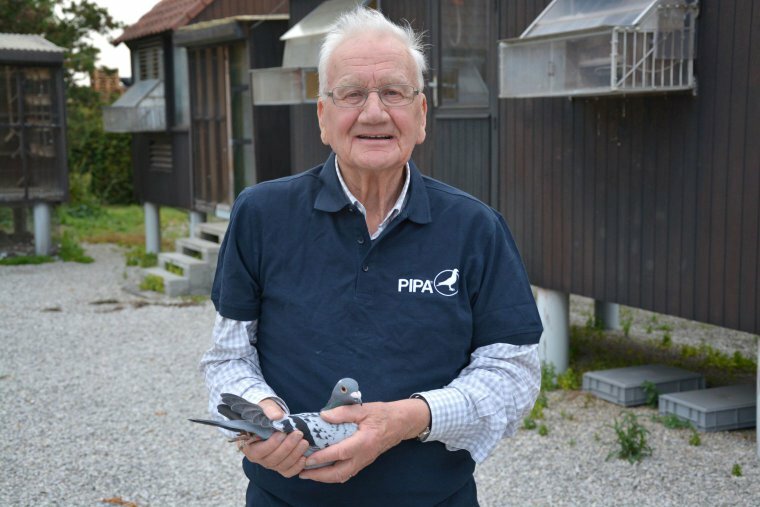 His top class pigeon breed has been years in the making, and his efforts are starting to pay off: Chris Debacker has just claimed a national first prize for the first time, from Gueret. 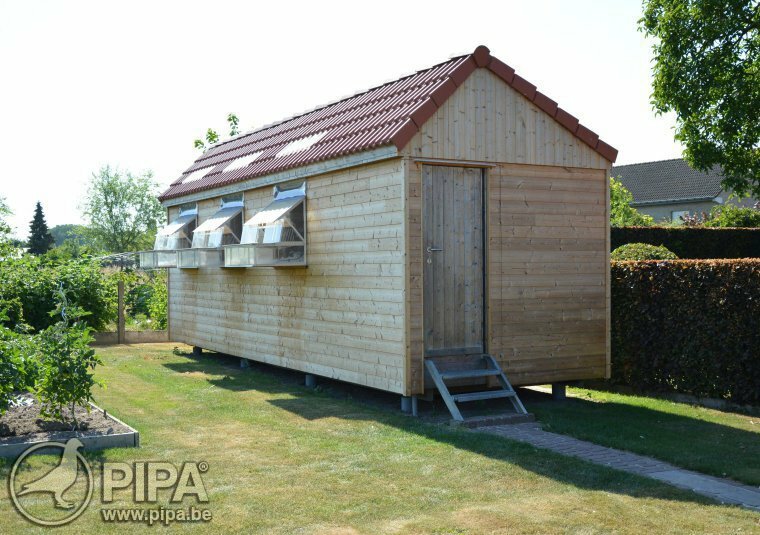 Chris Debacker from Beveren-Leie has claimed no less than 23 provincial first prizes over the years, which is quite a lot indeed. Chris could be nicknamed "Mr. Provincial". He was particularly successful in 2017, taking home an impressive six provincial wins. He also won 5 provincial ace pigeon titels as well, which shows that he is indeed one of the national top players in the longer middle distance and the extreme long distance. Click here to reread the PIPA report that was published last year. For an overview of all of Chris Debacker's provincial first prizes, click here. A national first prize was still lacking on his palmares but that changed in late June, when racing bird BE17-3048323 Cilleke claimed a 1st National Gueret of 8,493 one year olds. The national winner is a great looking blue coloured hen. She won a 1st National of 8,493 yearlings, and she showed her excellent form the week before Gueret, with a 429th National Argenton of 19,864 pigeons. Cilleke won a few top results as a youngster as well: a 2nd from Fontenay of 5,521 pigeons, a 1st Fontenay of 233 pigeons, and a 192nd Pointoise of 9,111 pigeons, just to name a few. For the full palmares of Cilleke, click here. Cilleke is a 100% Rik Cools (Ruiselede, BE), a good friend and a former fellow student of Chris. Quite a few pigeons have been transferred from the lofts of Rik Cools to Chris Debacker over the years, and vice versa. In fact, the two champions have already won a provincial first prize with each other's bloodlines. But back to Cilleke. 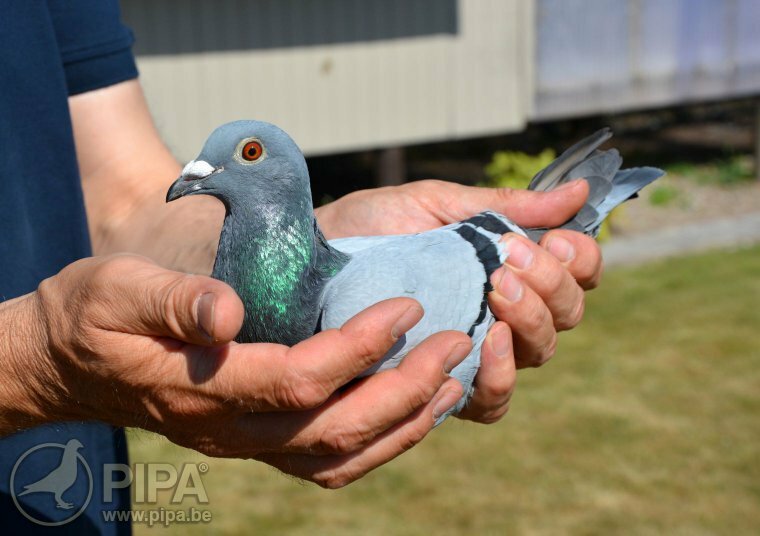 She is a daughter of Rex, a full brother of Gloria (Bert Van Den Bergh, Wortegem-Petegem, BE), winner of a 4th National Limoges of 14,721 pigeons, a 39th National Bordeaux of 10,622 pigeons, a 10th Cahors of 2,801 pigeons, and a title of 2nd National Ace Pigeon KBDB Long Distance 2013. Rex is a 100% Gaby Vandenabeele (Dentergem, BE) from his Royal Blue (from the line of Wittenbuik) x Mona, a direct daughter of the world famous Bliksem. The dam of Cilleke, Femke, is another granddaughter of Bliksem x daughter Aagje of Gaby Vandenabeele. 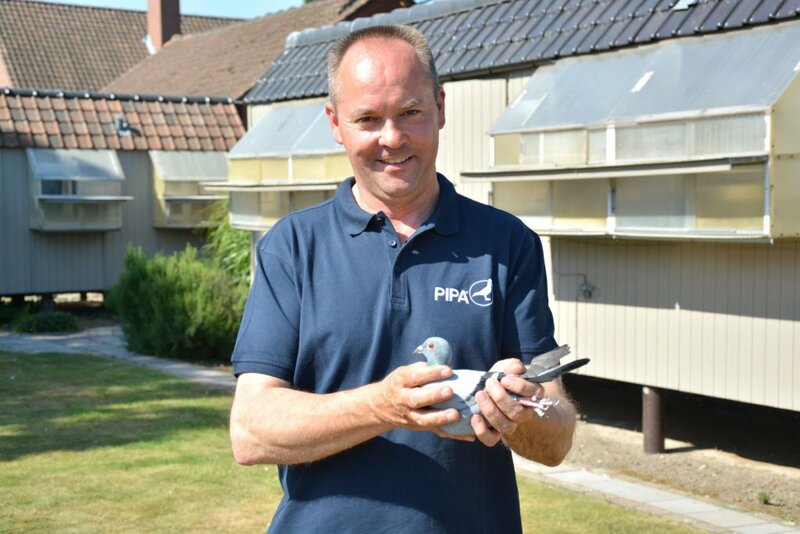 Her dam is Feelke, winner of a 23rd Tours of 3,320 pigeons, a 45th Chateauroux of 5,912 pigeons, a 7th Poitiers of 1,665 pigeons, a 9th Poitiers of 2,957 pigeons, etc. Feelke is also a sister of Darling, which won a 1st National Bourges. Click here for the full pedigree of Cilleke. Click here for the full list of achievements of 2018. With a national first prize to his name, Chris Debacker has joined a select group of Belgian national stars. His palmares now includes 24 prestigous provincial first prizes, several ace pigeon titles and of course a national win. Chris owes a lot to his partnership with Cools; the two fanciers respect and trust each other a lot, and they have both gotten a lot from their friendship. It was through Rik Cools that Chris obtained pigeons from the invaluable Gaby Vandenabeele bloodlines. The collaboration has benefited both fanciers, since Rik is doing great with Chris's pigeons as well. 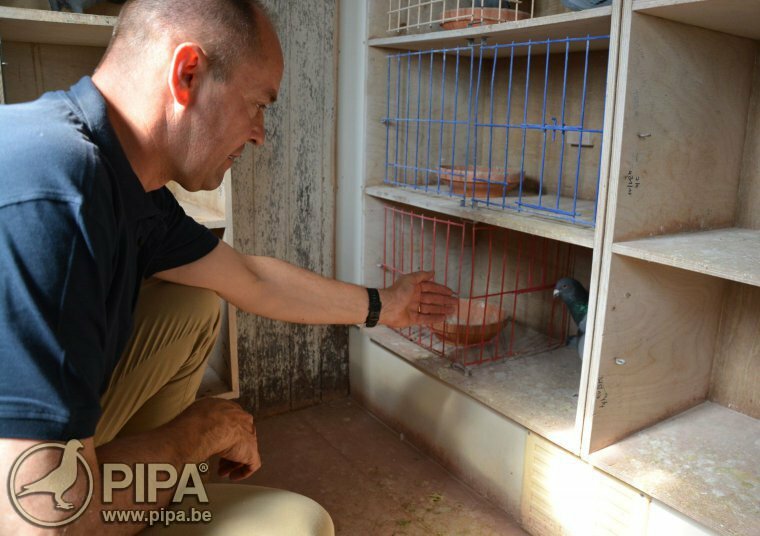 Nothing pleases us quite as much as a successful friendship in pigeon racing. Perhaps it makes Chris an even greater champion.